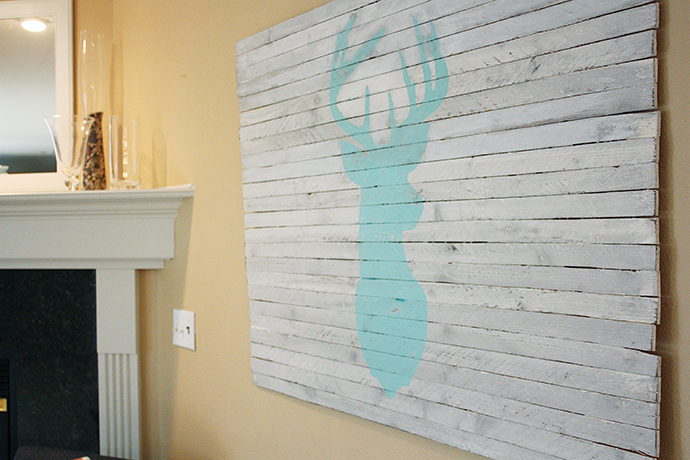 I made this deer wall art a couple months ago and have been waiting until now to share it with you. I wasn’t sure if I was going to paint our living room walls or not, and wanted to wait until that was done, but at the rate I’ve been getting projects done lately, it likely won’t be changing any time soon. I bought a bundle of laths from Home Depot, which cost about $12 and was more than enough for this project. They were the length I wanted (48″) which made it easy. Next I joined them together using wood glue and a heavy duty staple gun along three vertical cross braces on the back (I used laths for the braces). I first attached them to just two vertical laths, and then added a third for stability once I was done. 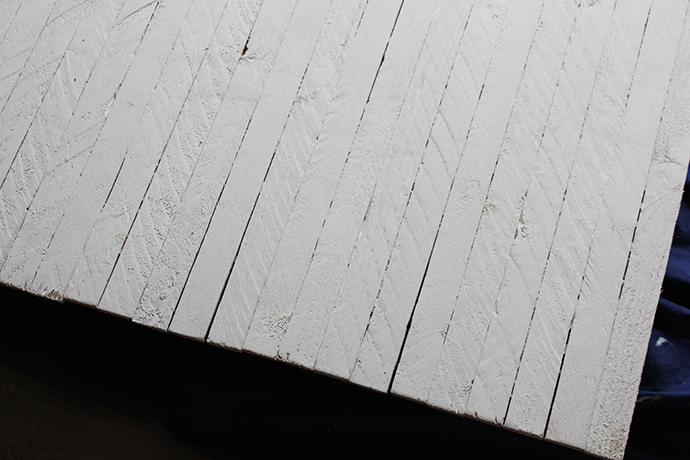 Once the laths were all joined, I painted them white. 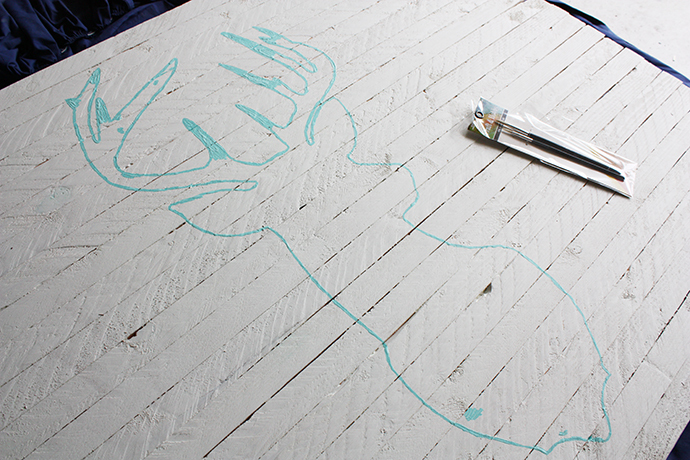 I then used Illustrator to enlarge a deer silhouette I found online, and traced the image onto the boards. 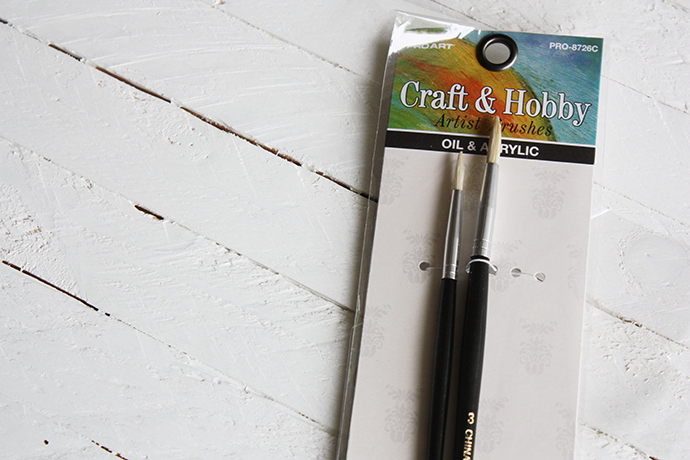 I used a stiff, fine tipped paintbrush to paint along my traced line. 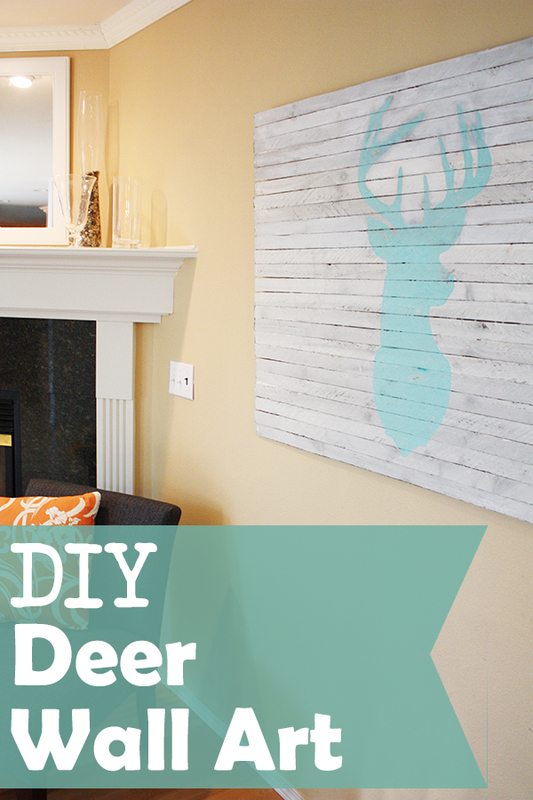 After I had my outline painted, I used a sponge brush to paint the rest of the deer head. Once it was dry, I used my electric sander to distress the entire piece. To age the boards, I made a steel wool and vinegar stain. The stain is super simple to make – drop a piece of steel wool into a mason jar half full of vinegar and let it sit for at least 24 hours. I think I may have used more vinegar to begin with, but after testing my stain out, it was super dark, and I ended up majorly diluting it before I got the amount of aging I liked on my boards. Just make sure to do lots of testing before you use the stain on your actual project. I ended up going back and forth several times with distressing and aging, until I got the look I was hoping for. At one point the distressing formed two eyeballs on the deer’s face which was fairly comical. Lastly, I used picture framing wire to hang it up. It’s pretty heavy so it’s important to use something strong – don’t ask me how I learned that the hard way – and it was done! I love large pieces of art, and I’m so happy with how this turned out! 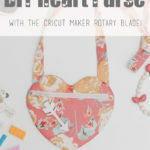 Last week I finally made some new curtains for the living room too, and will be sharing those with you soon! Beats the heck out of a stuffed deer head mount…no that I didn’t grow up with several giant specimens on the wall…but yours is better!! Nice job. Oh and BTW, your pedi looks nice too. LOL! I love this! What a great project. Thank you for sharing. Wow, that is fantastic idea!!! 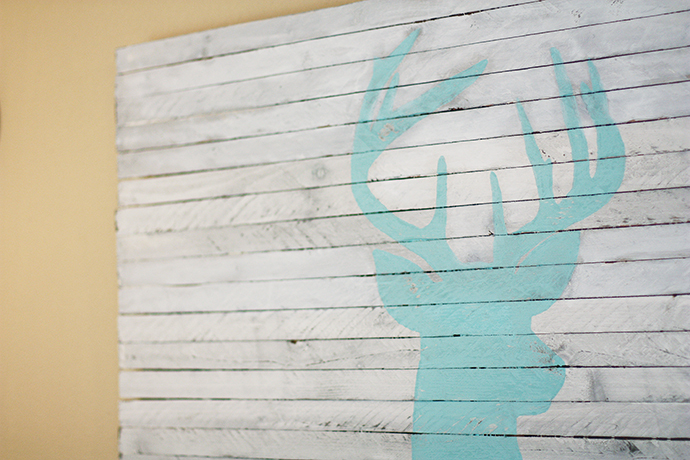 Having those wooden pallets and then just tracing the deer drawing is so easy. You just need to have an artistic mind for you to really think of simple things to do yet it can render big impact to your walls. Thank you so much for sharing this idea. I would definitely give this a try. which were usually tall and thin and graceful, with gentle curves. Repeat this process until the yarn covers the entire mesh bag. You can be assured that the wigs will have a longer lifespan. These are available in different shades and colors which can perfectly complement with the natural look of your hair. 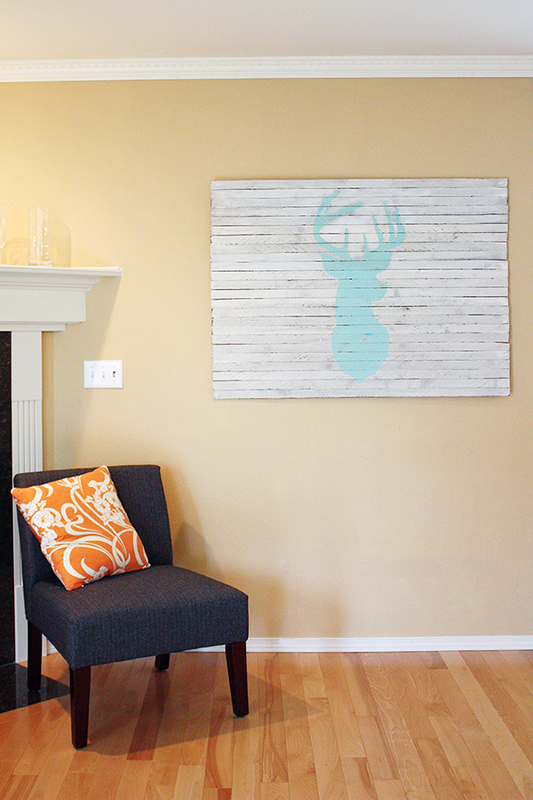 An alternative to four blocks is to have printed wall art panels. 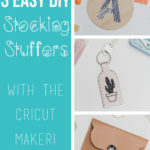 Flip the monogram over and hot glue the small piece of ribbon or yarn to create a hanger. 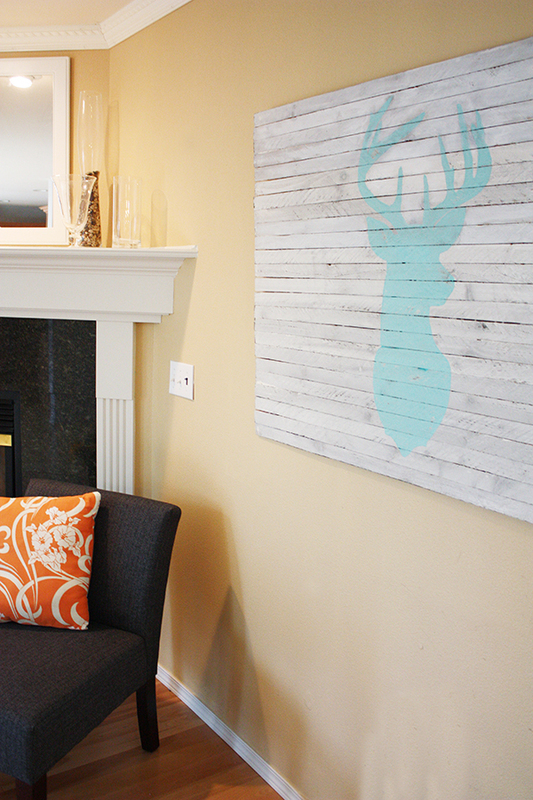 hang your pieces of wall decor in such a way that they will not appear cluttered or chaotic. We just finished our basement and I am totally copying this for above my couch! I even have the laths ready to go. Did you just use a flat white paint? And how many coats of white and turquoise did you use? 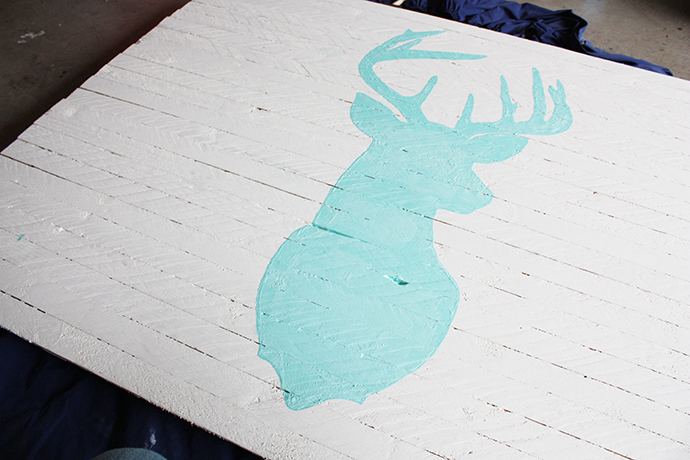 I am going to do my deer in a mustard color…does the vinegar stain darken the deer a lot?